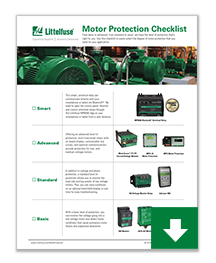 Motors are the largest single cause of industrial and commercial fires. 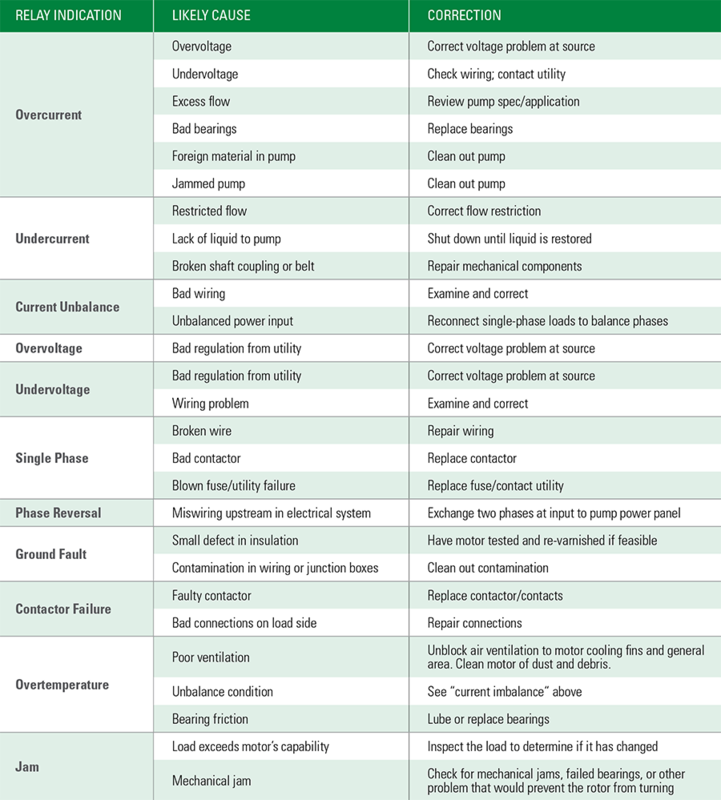 This is why it’s vital to protect your motors from overloads, jams, phase loss or unbalance, heat, heavy start-ups or excessive operational cycles. 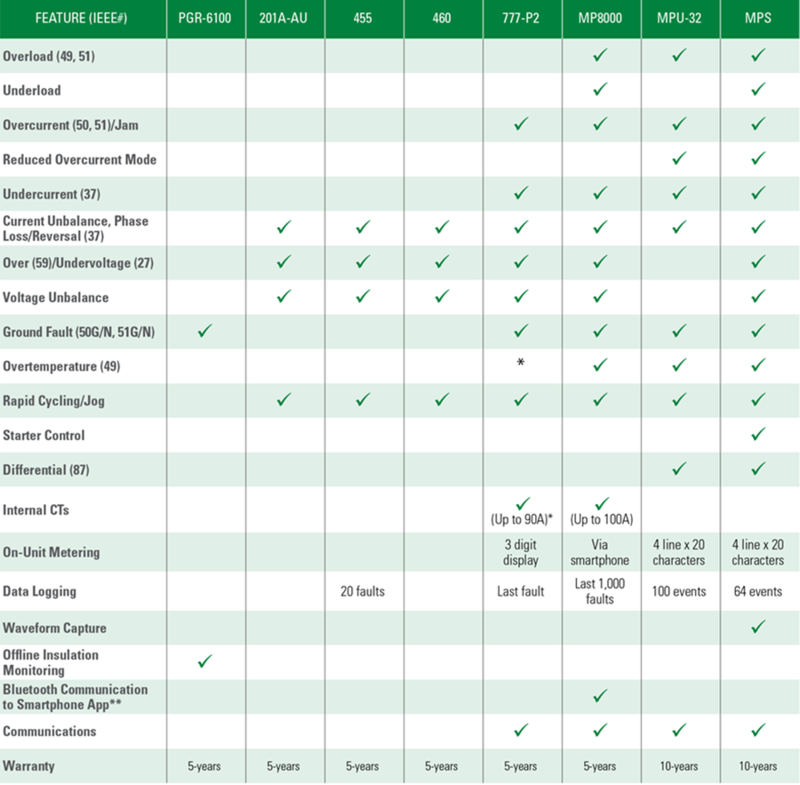 From basic to advanced, from standard to smart, we have the level of protection right for you. 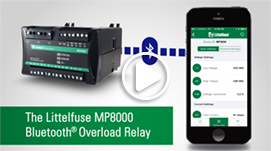 The revolutionary MP8000 Bluetooth® Enabled Overload Relay communicates directly with your smart phone via Bluetooth®. No need to open the control panel. 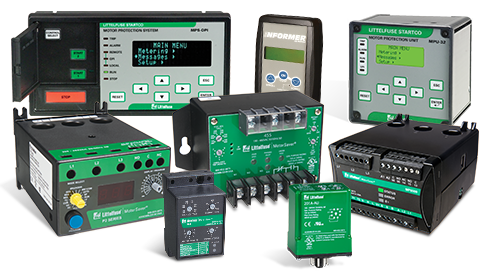 Monitor and control unlimited relays through the Littelfuse App from a safe distance via your smartphone or tablet. 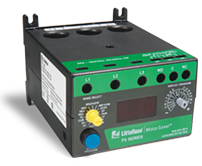 The MotorSaver®, 777-P2 Current and Voltage Monitor combines voltage/phase protection into an overload relay with on-board display for easy programming. 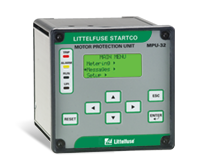 Ideal for larger, complex motors, the MPU-32 Motor Protection Unit provides current and temperature protection, data logging, and metering. 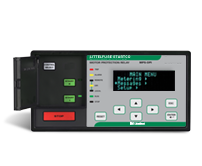 One of the most advanced and customizable dynamic thermal models on the market, the MPS Motor Protection System monitors voltage, current, and temperature. 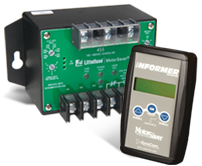 The 455 Voltage Monitor Relay, used with the Informer MS, can monitor the load side, log events, and view conditions on a display in real time. 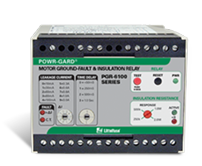 The PGR-6100 Ground-Fault and Insulation Relay combines the feature of ground fault protection and insulation monitoring all-in-one. 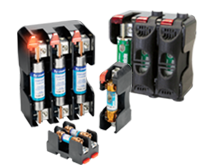 Providing a basic level of protection, these devices monitor the voltage going into the motor. 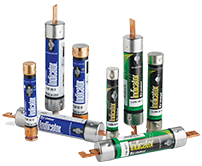 The CCMR, FLSR, and JTD Series provide general protection for a wide range of circuits. 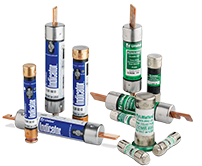 Used with indicating fuses, space saving indicating fuse blocks provide easy open fuse identification. 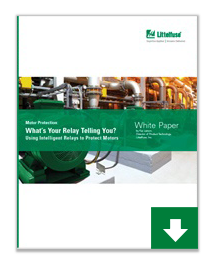 See how the Littelfuse Bluetooth Overload Relay uses your smartphone to protect motors and pumps while saving you time and keeping you safe from arc flash. 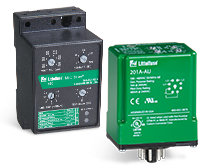 MPU-32 and MPS Motor Protection Relays. 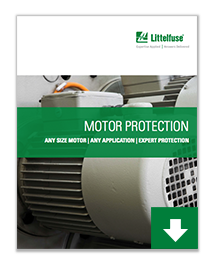 Advanced motor protection for small, medium and large motors. 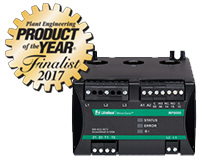 Meet the Team Behind the Motor Saver and Pump Saver Protection Relays. 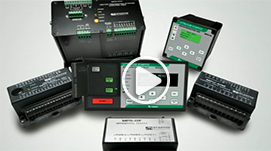 Step inside our facility and meet the team behind our pace-setting delivery, responsive service, and quality products.